The Salamanca Farmers' Market is held in Jefferson Park. The market meets on Tuesdays from May 16 to October 31, 2014. The market opens at 11 a.m. and closes at 5 p.m.
We offer vegetables and fruits in season, baked goods, cut flowers, potted plants, bedding plants, hanging baskets, honey, maple syrup and maple products, some hand made crafts ( woodworking), jams and jellies. Pasture raised beef, pork, chicken, lamb is a definite possibility this year. The market has been in existence for about 20 years. 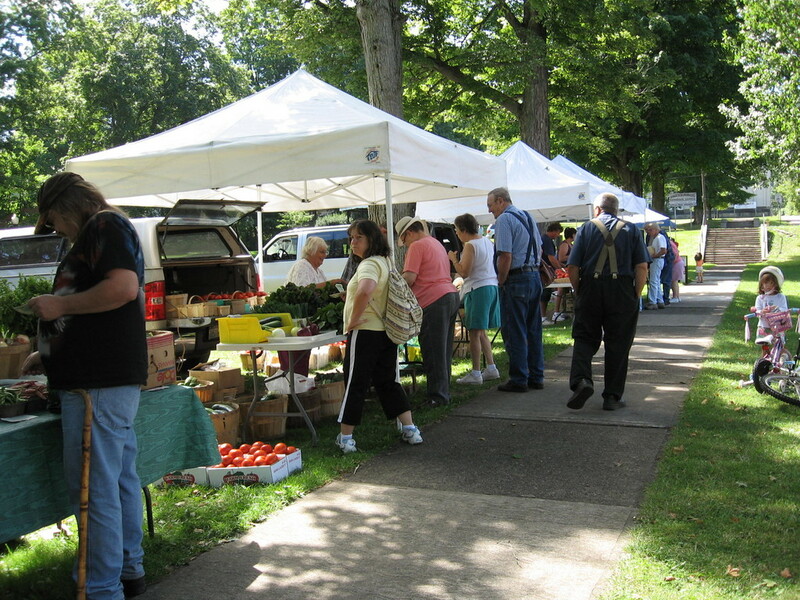 Proximity to Allegany State Park allows campers to shop for local produce. EBT terminal, Farmers Market Nutrition Coupons for WIC and Seniors, WIC fruit and vegetable checks. Master Card and Visa also accepted. The Southern Tier Farmers Market posts updates on Facebook. For more information on this Farmers Market please contact Charles Couture at 716-942-3710.